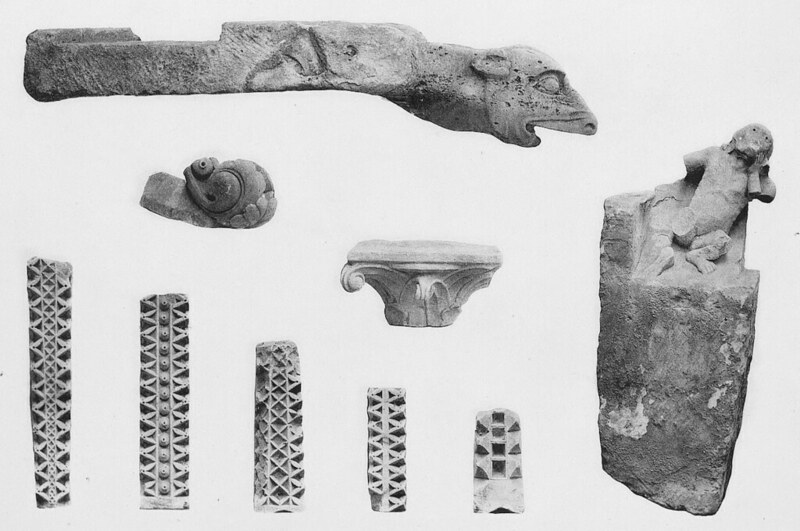 Various: see individual images for sources. Download: Right click on image, or see source for higher res versions. 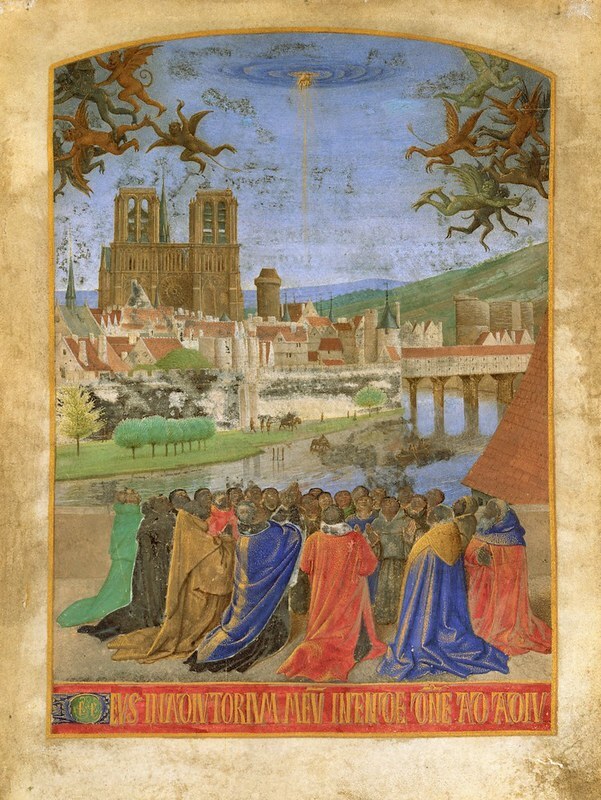 The Right Hand of God Protecting the Faithful against the Demons, from the “Hours of Étienne Chevalier”, by Jean Fouquet, ca. 1460 — Source. 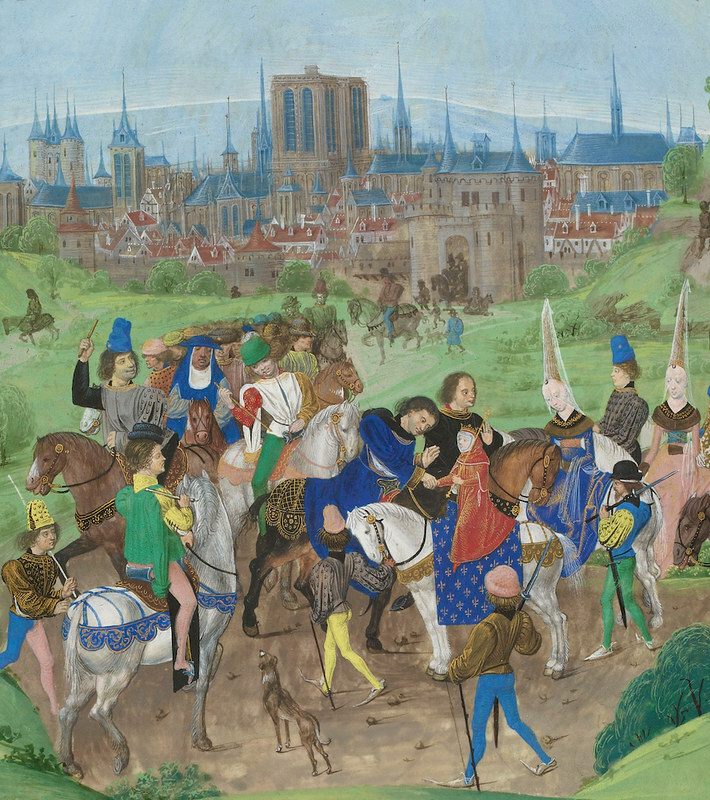 Arrival to Paris of the young duke Louis II d’Anjouand his mother Marie de Blois. 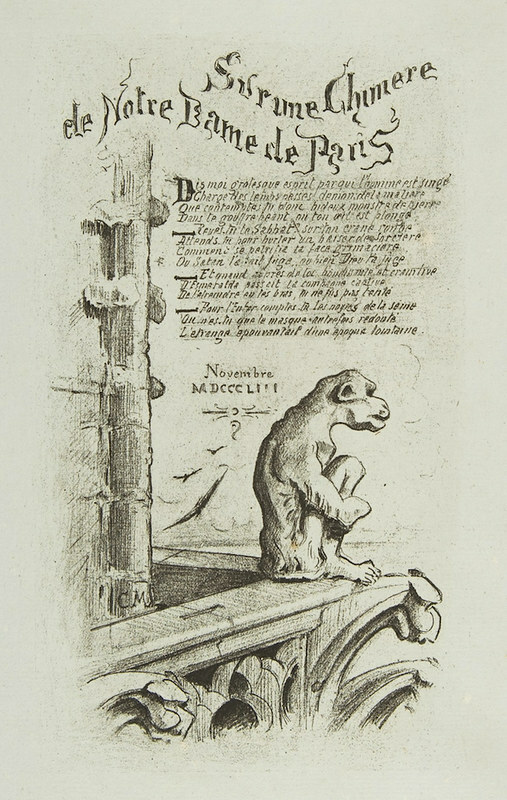 Miniature from Chroniques de Jean Froissart, Bruges, ca. 1475 — Source. 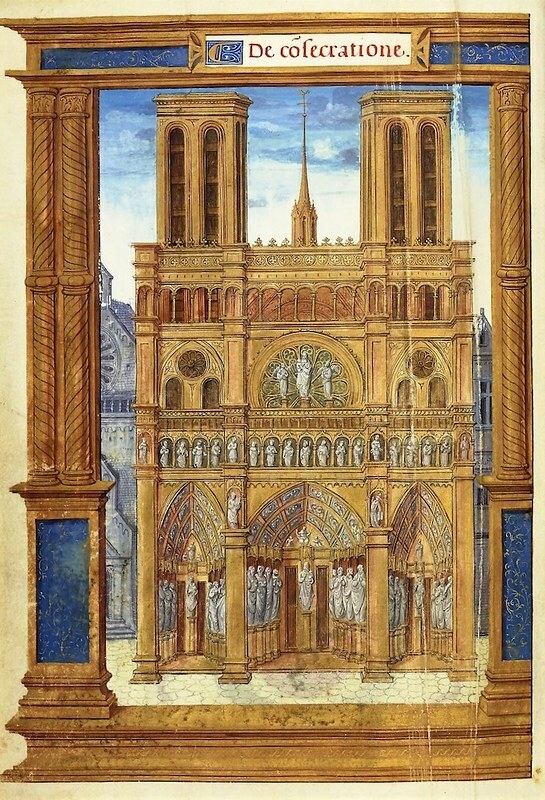 Notre-Dame-de-Paris, dans Pontifical romain aux armes de Jean II de Mauléon, évêque de Saint-Bertrand-de Comminges, BnF, Ms. Latin 1226-2, by Noël Bellemare, ca. 1525 — Source. 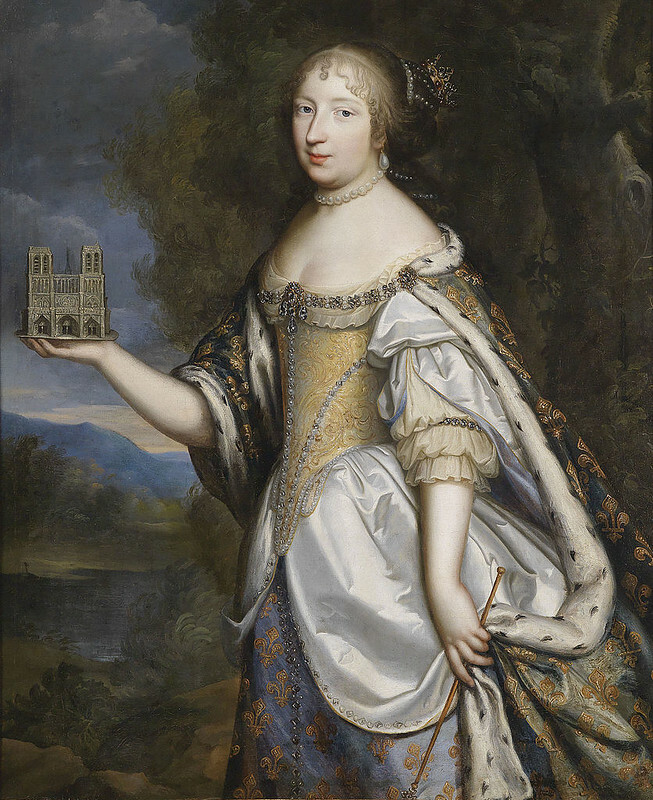 Portrait of Queen Marie Thérèse of France, as patron of the Cathedral of Notre-Dame de Paris, by Charles Beaubrun and Henri Beaubrun the younger, ca. 1670 — Source. 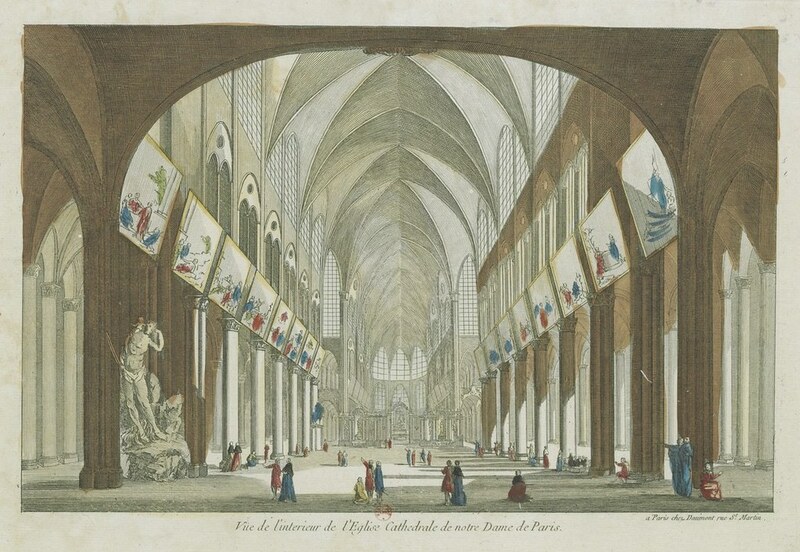 Vüe de l’intérieur de l’Eglise Cathédrale de notre Dame de Paris, artist unknown, 1670 — Source. 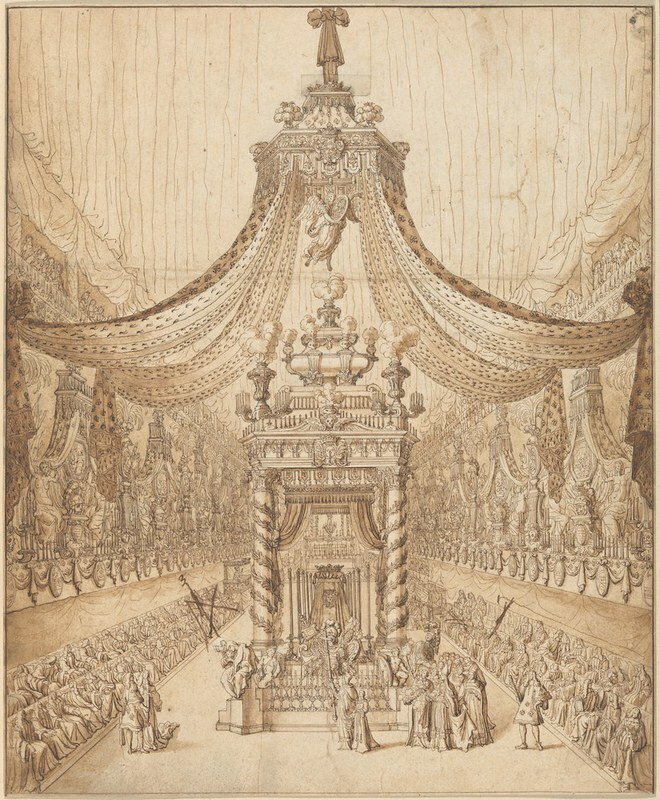 Funeral of the Grand Condé, a drawing by Jean Berain Frenc, ca. 1687 — Source. 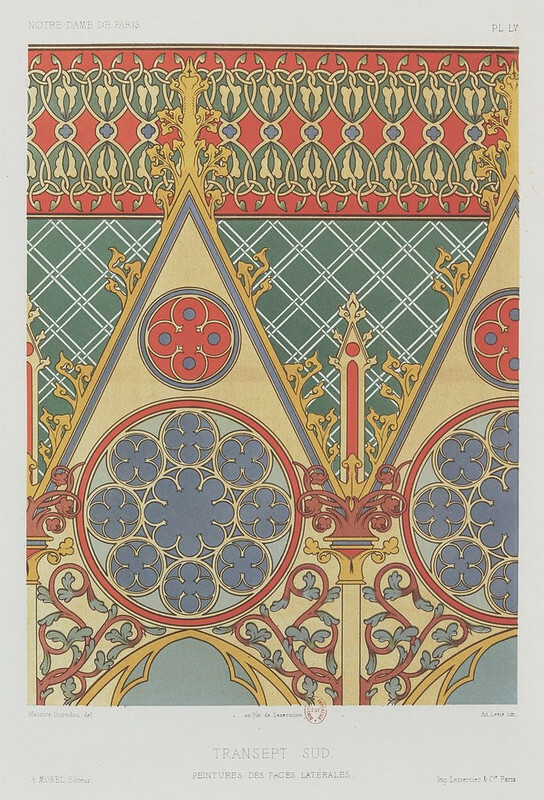 Plan of the choir, by Pierre Lepautre, 1715 — Source. 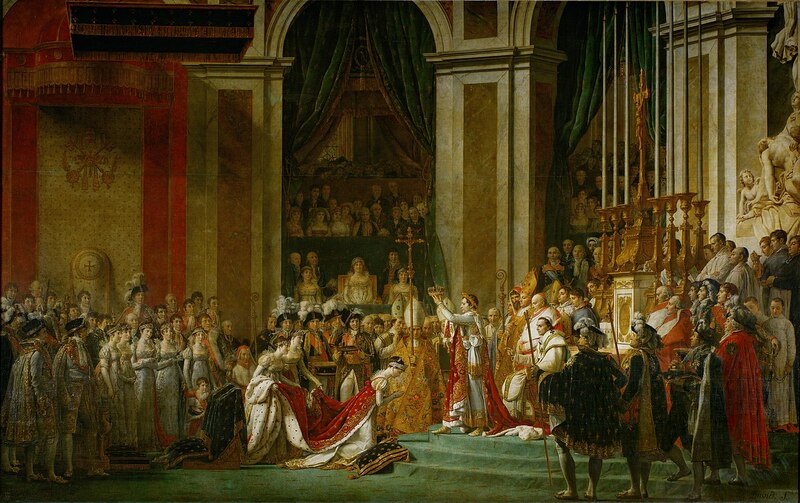 Coronation of Emperor Napoleon I and Coronation of the Empress Josephine in Notre-Dame de Paris, December 2, 1804, a painting by Jacques-Louis David and Georges Rouget, 1805–7 — Source. 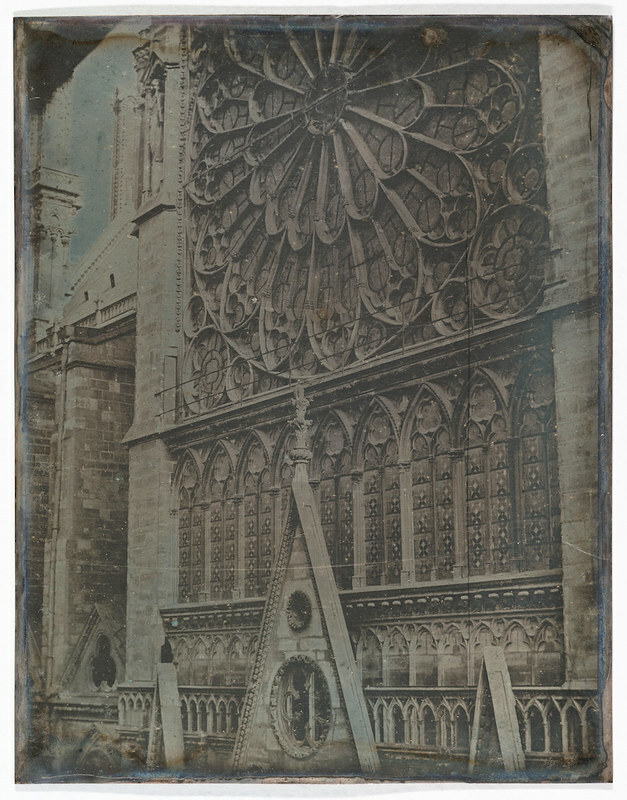 Rose Window on the southern façade (the original, before it was reworked 20 years later by Viollet-le-Duc) , a photograph by Joseph-Philibert Girault de Prangey, 1841 — Source. 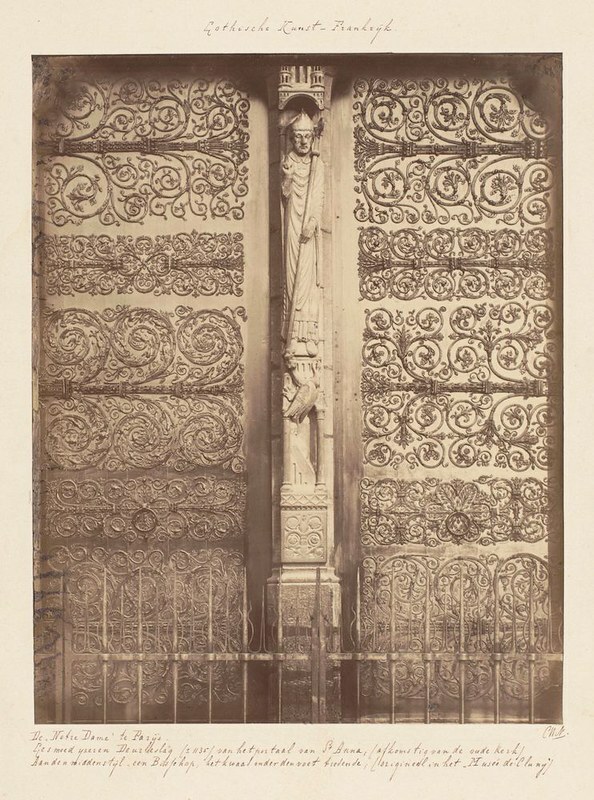 The Portal of the Virgin, a photograph by Joseph Philibert Girault de Prangey, 1841 — Source. 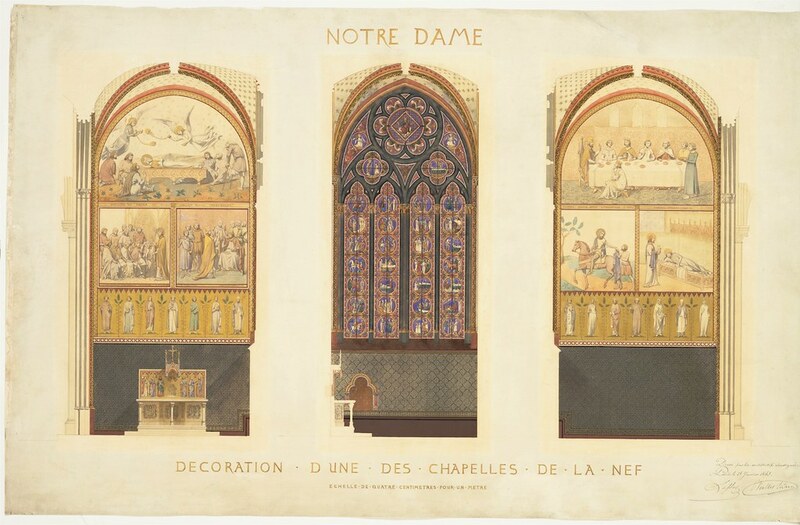 Plan for the Renovation of a Chapel in the Nave of the Cathedral of Notre Dame, by Jean-Baptiste-Antoine Lassus, 1843 — Source. 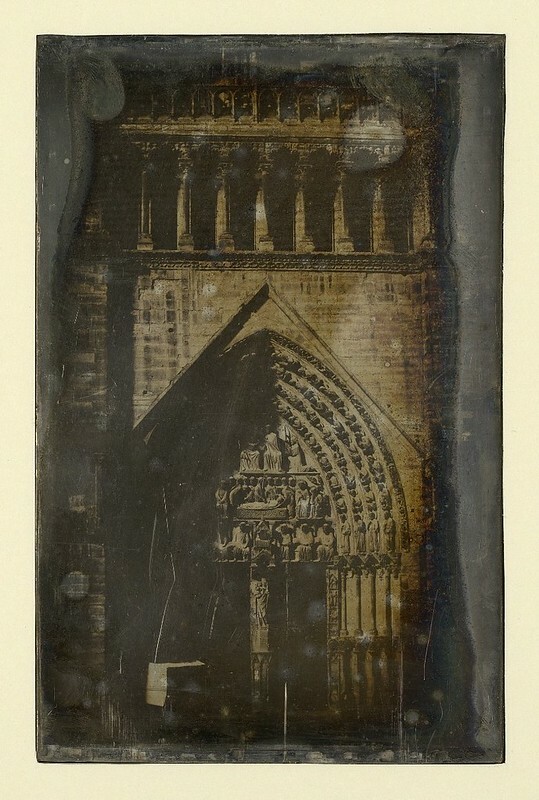 Saint-Ãtienne portal, a photography by Hippolyte Bayard, 1847 — Source. 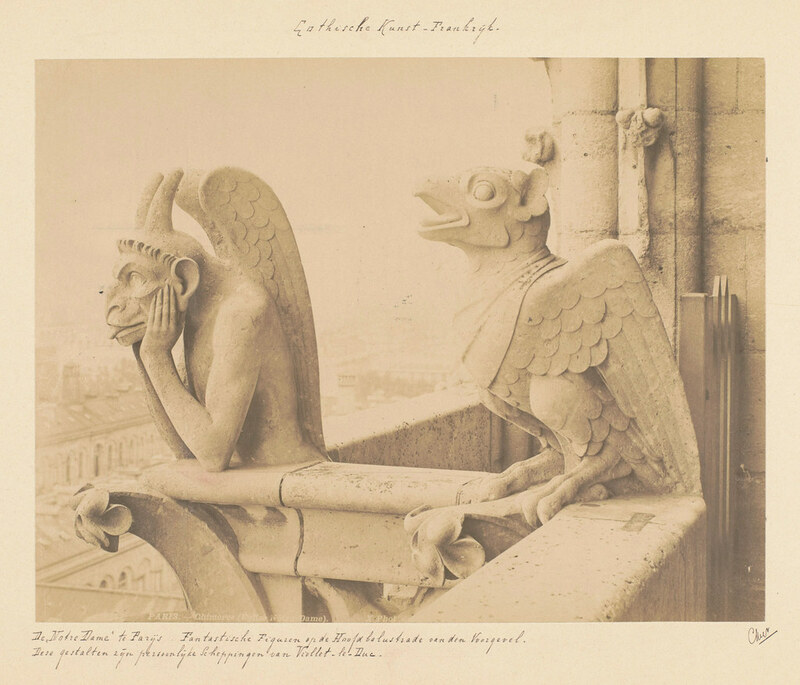 Regarding One of the Gargoyles of Nôtre-Dame de Paris, a drawing by Charles Méryon, 1853 — Source. 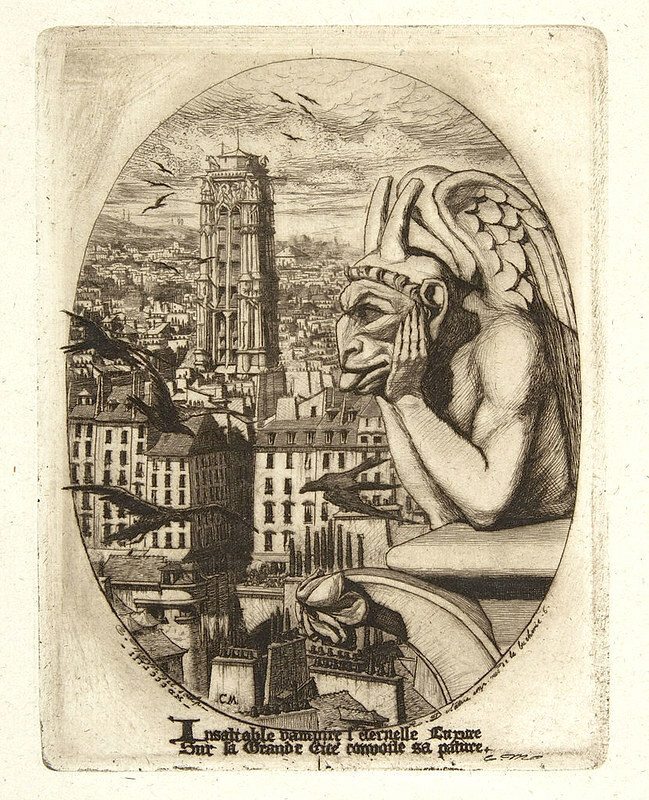 The Vampire, an etching by Charles Méryon, 1853 — Source. 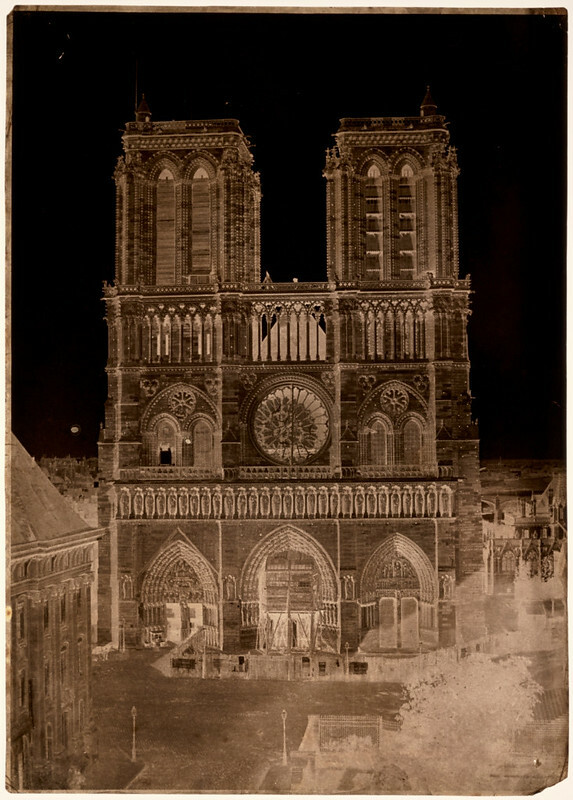 Notre-Dame, a waxed paper negative and salted paper print by Charles Nègre, ca. 1853 — Source. The Vampire, a photograph by Charles Nègre, 1853 — Source. 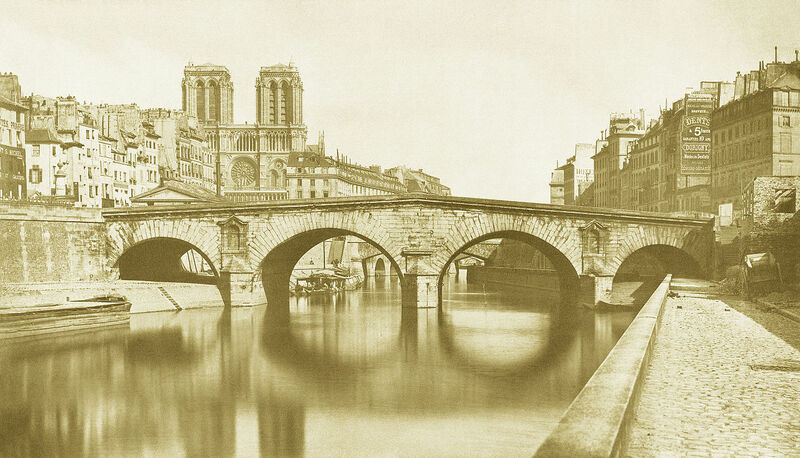 Saint-Michel bridge, a photograph by Auguste-Hippolyte Collard, 1857 — Source. 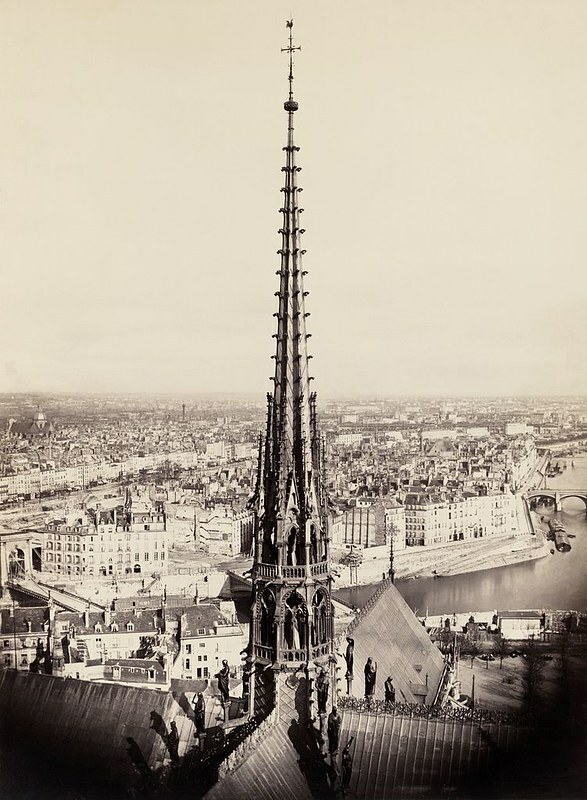 View of spire, roof with statuary, and cityscape beyond, photograph by Charles Marville, ca. 1860 — Source. 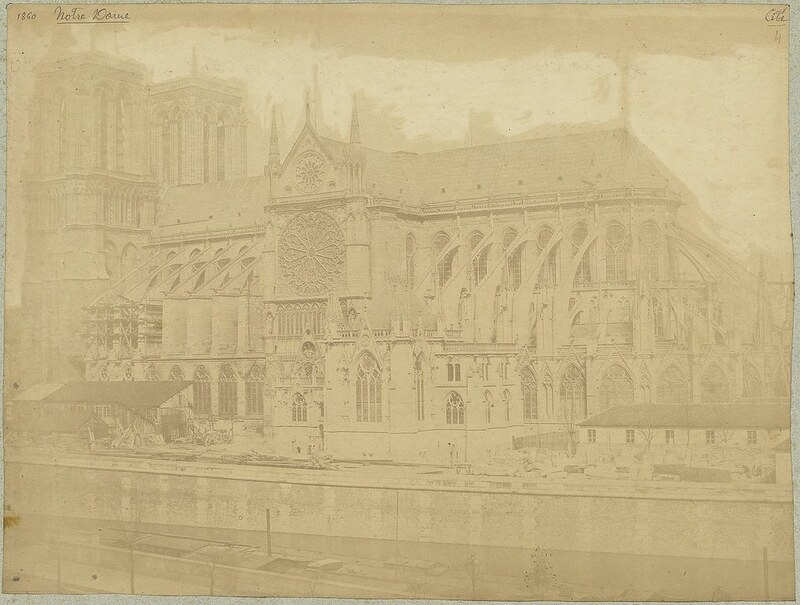 Notre-Dame, photograph by Édouard Baldus, 1860 — Source. 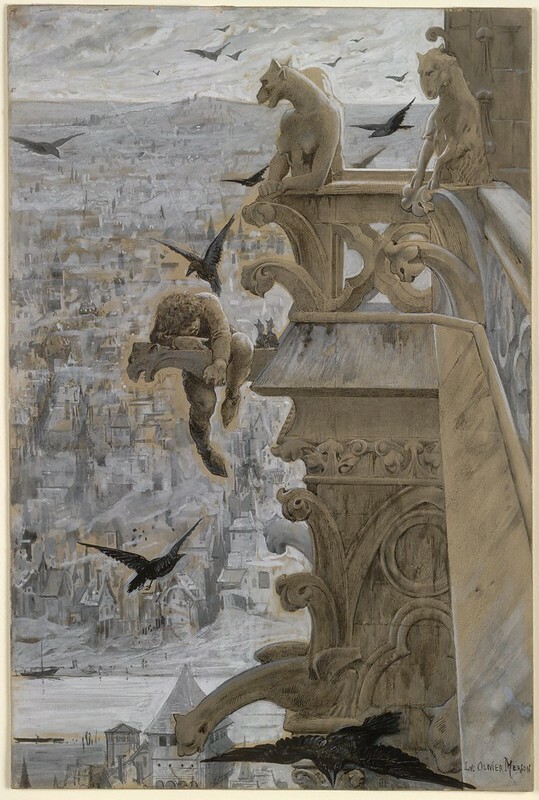 Nôtre Dame, a painting by Félix_Bracquemond, 1870 — Source. 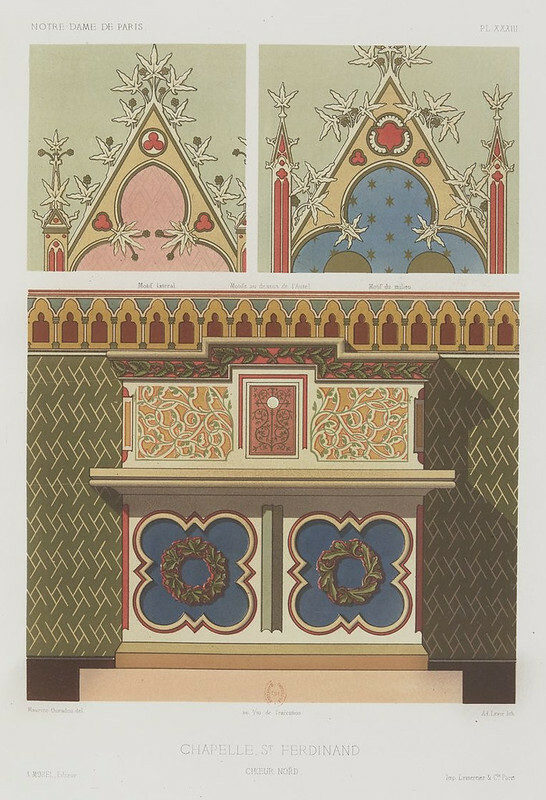 Wall paintings of the chapels of Notre-Dame de Paris: executed on the boards of E. Viollet-Le-Duc recorded by Maurice Ouradou, 1870 — Source. 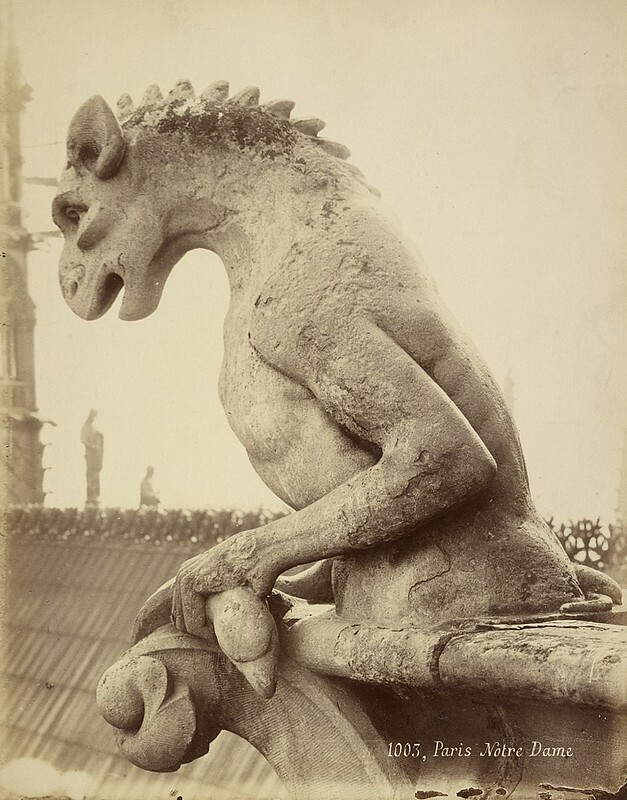 Gargoyle at Notre Dame, unknown photographer, ca. 1870 — Source. 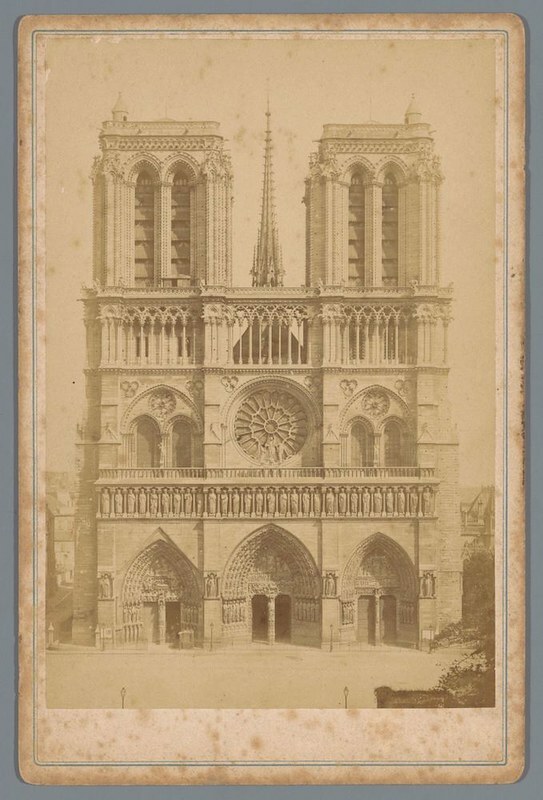 Access portal of Notre Dame, unknown photographer, ca. 1870 — Source. Unknown photographer, ca. 1870 — Source. 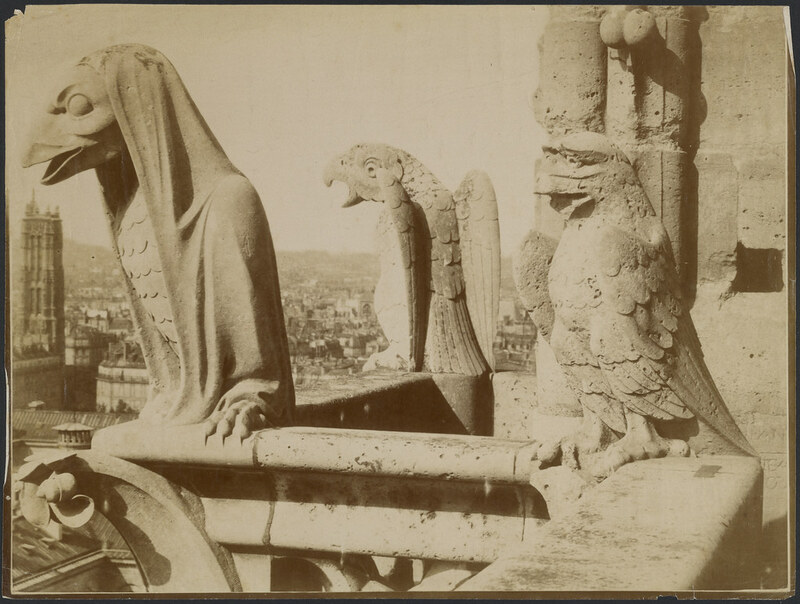 Gargoyles, Notre Dame, a photograph by Adolphe Giraudon, ca. 1875 — Source. 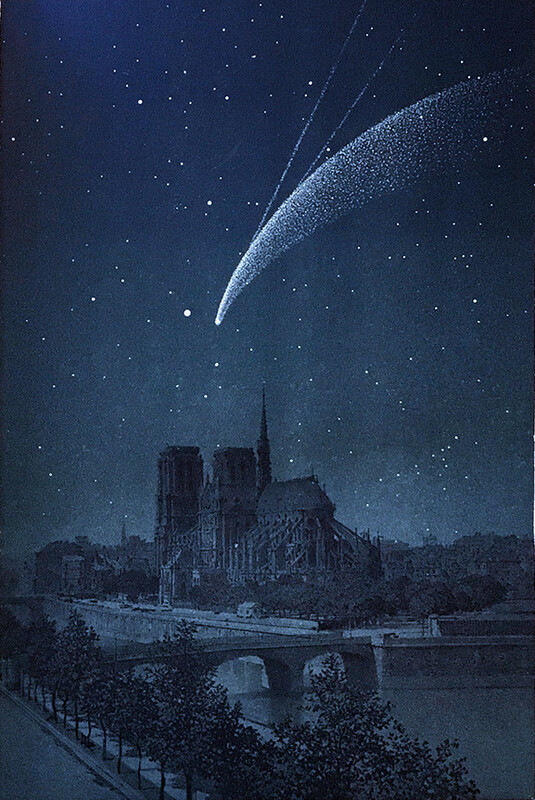 The comet Donati over Paris on 4th October 1858, from “Le ciel” by Amédée Guillemin, 1877 — Source. 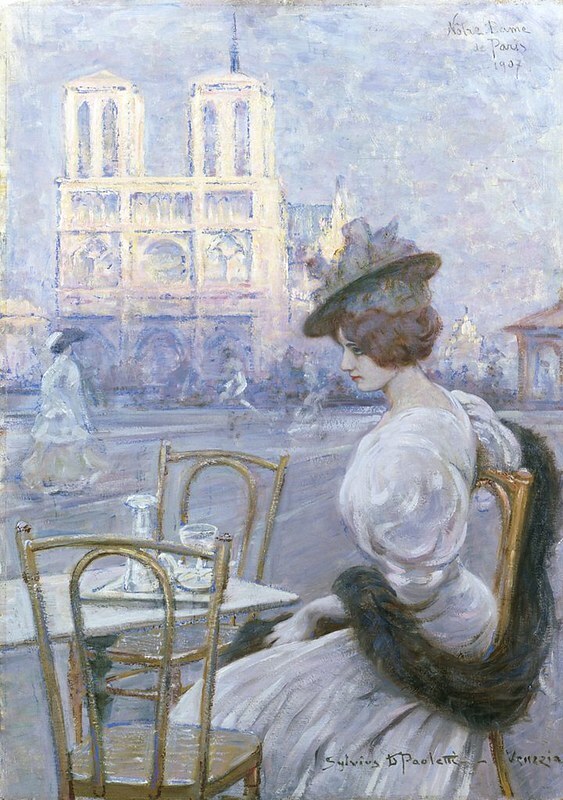 Notre-Dame de Paris, a painting by Luc-Olivier Merson, ca. 1881 — Source. 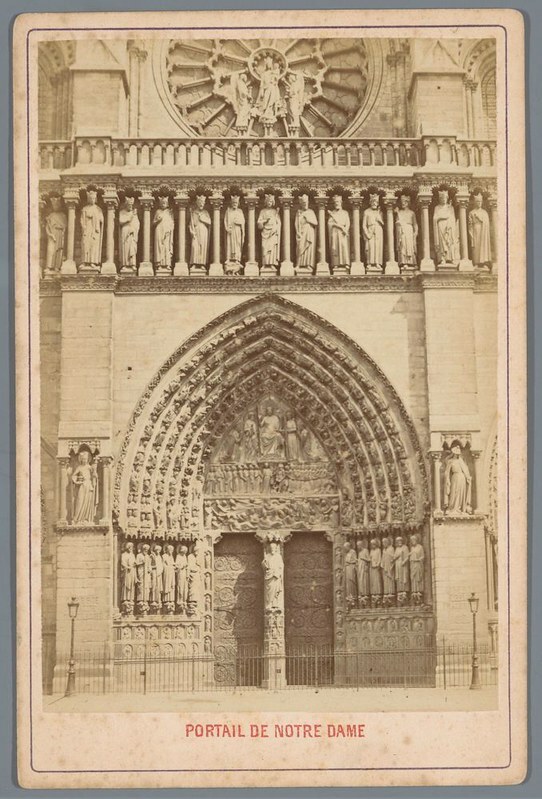 Door portal of Notre Dame, unknown photographer, ca. 1875-1900 — Source. Gargolyes, unknown photographer, ca. 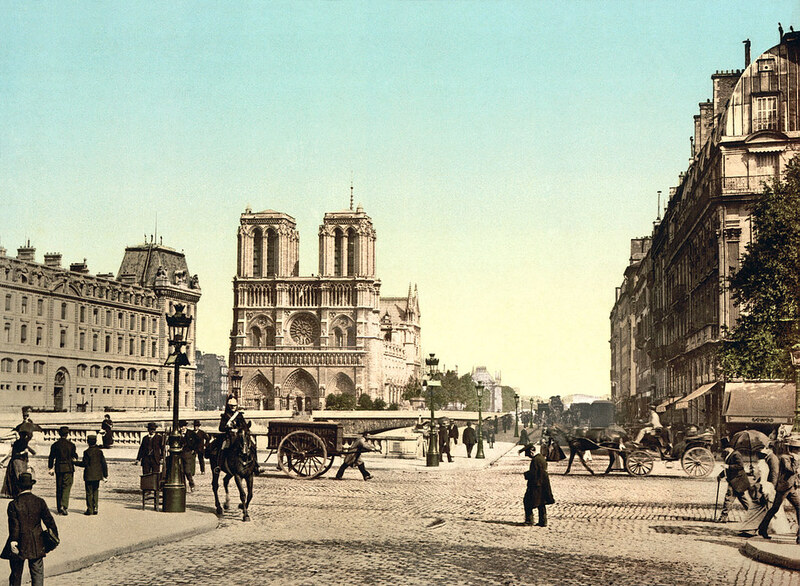 1875-1900 — Source. 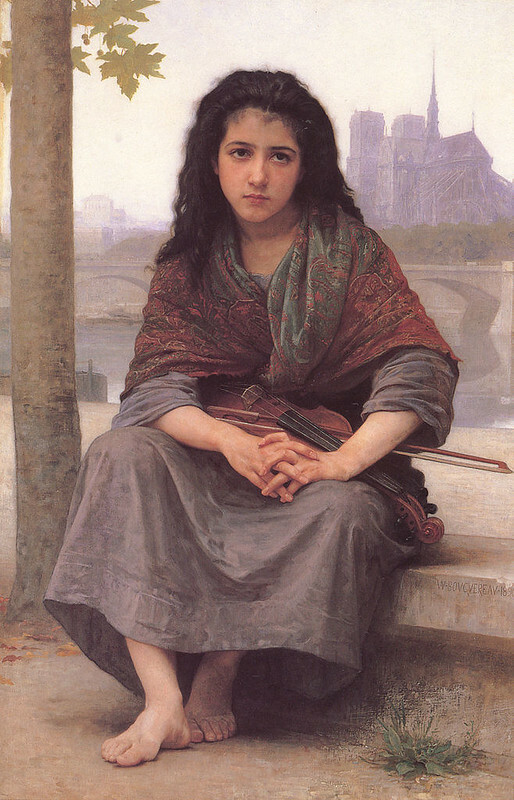 The Bohemian, a painting by William-Adolphe Bouguereau, 1890 — Source. Notre Dame, and St. Michael bridge, ca. 1890 — Source. 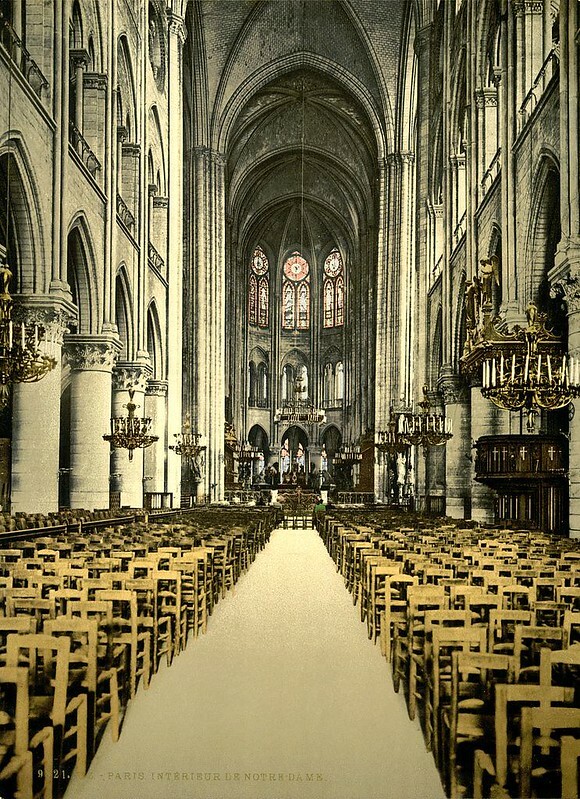 Notre Dame, interior, coloured photograph, ca. 1895 — Source. 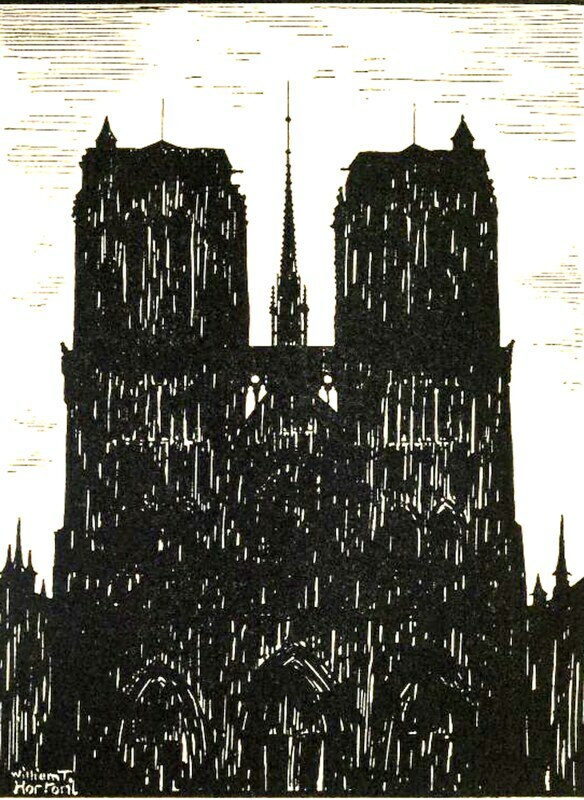 Notre-Dame de Paris, by W. T. Horton and featured in his A Book of Images, 1898 — Source. 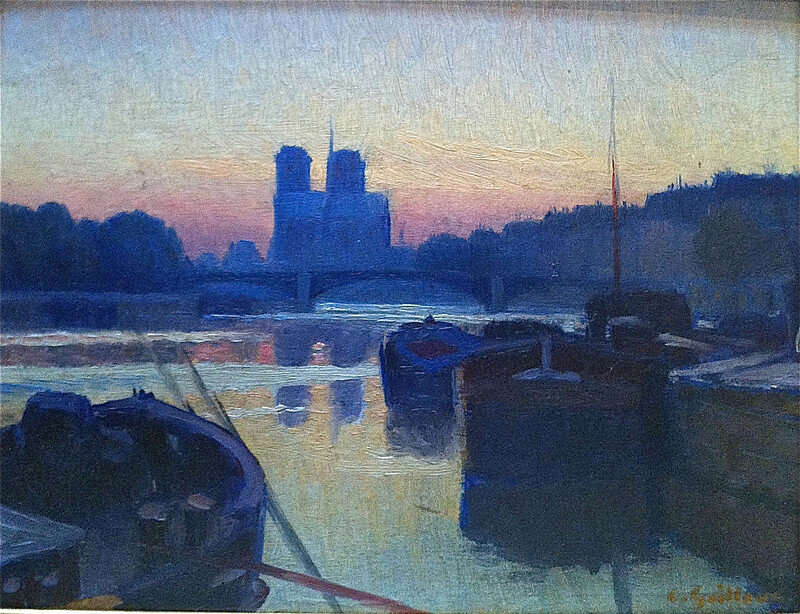 Notre Dame at twilight, a painting by Charles Guilloux, ca. 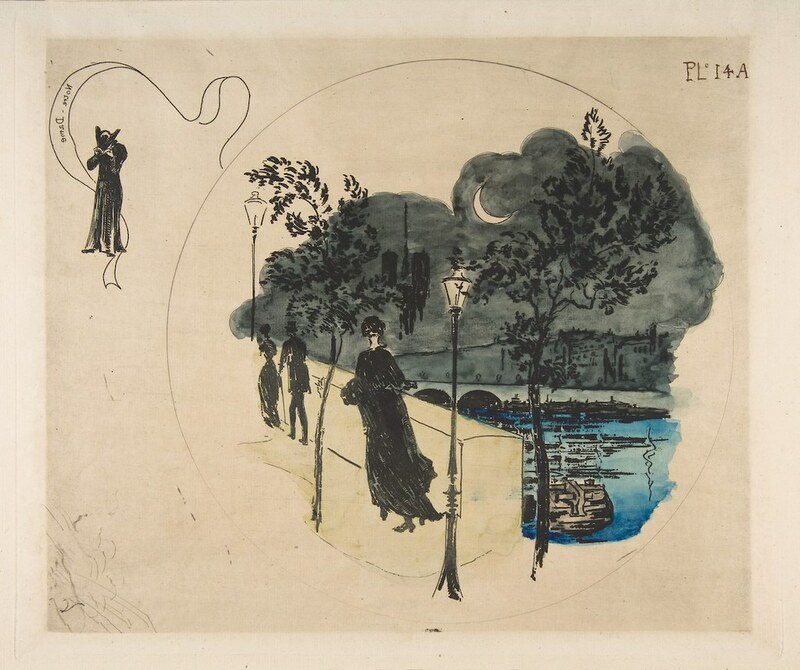 1898 — Source. 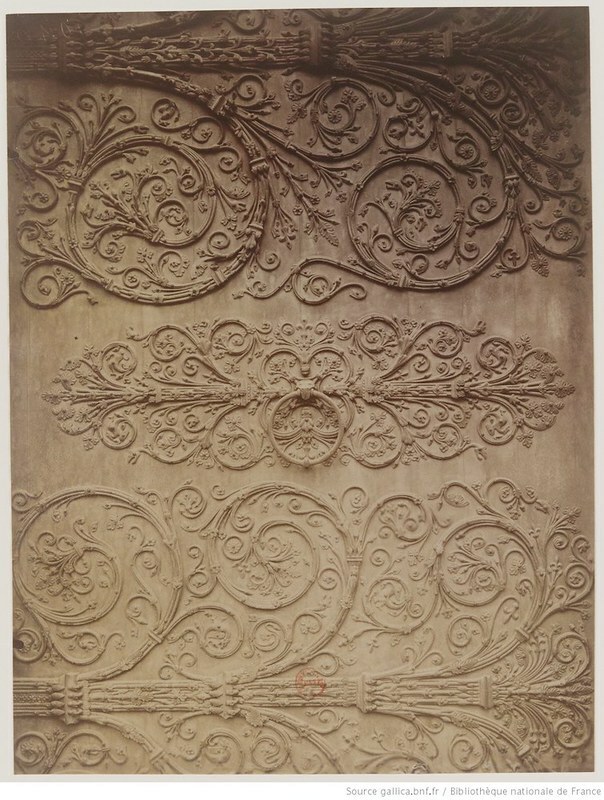 Discovery of the Lutèce enclosure, update of the surrounding wall. 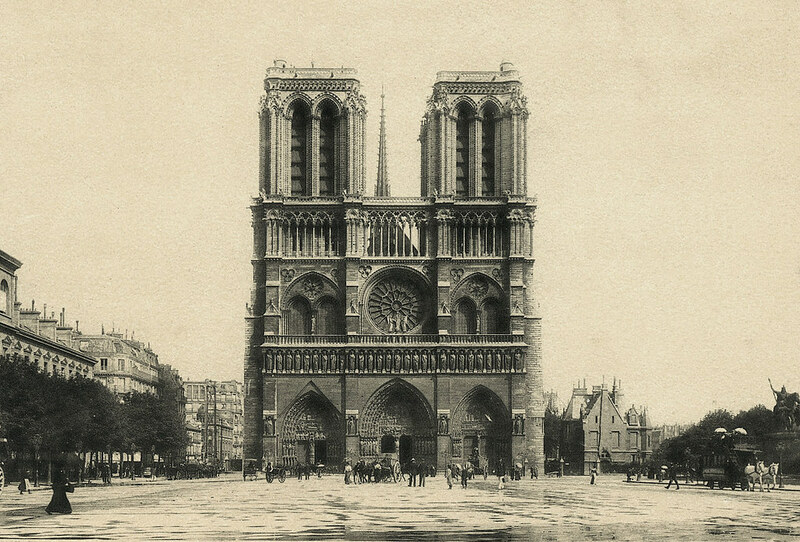 Photo taken from the minutes of the Municipal Commission of Old Paris, January 28, 1898 — Source. 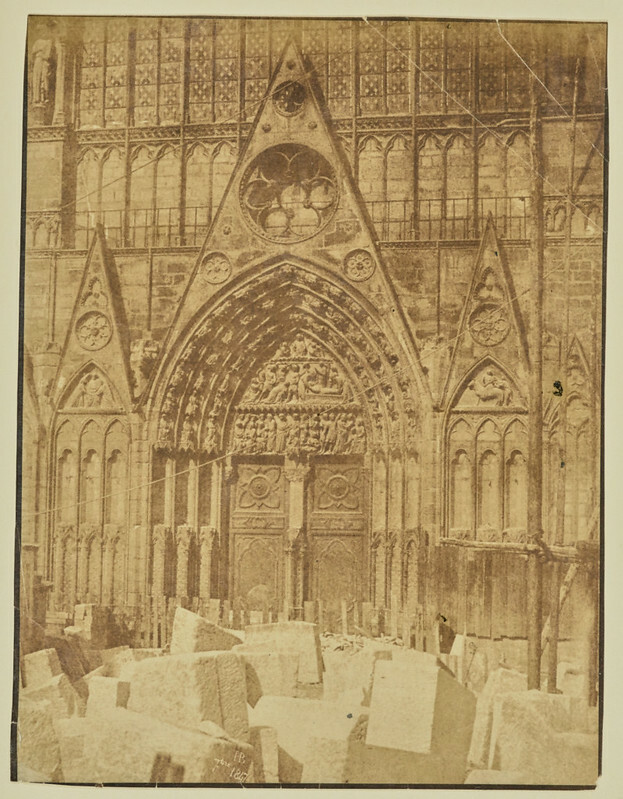 Stones from the restoration executed at Notre-Dame church by Viollet-le-Duc, by Commission Municipale du Vieux Paris, 1898 — Source. 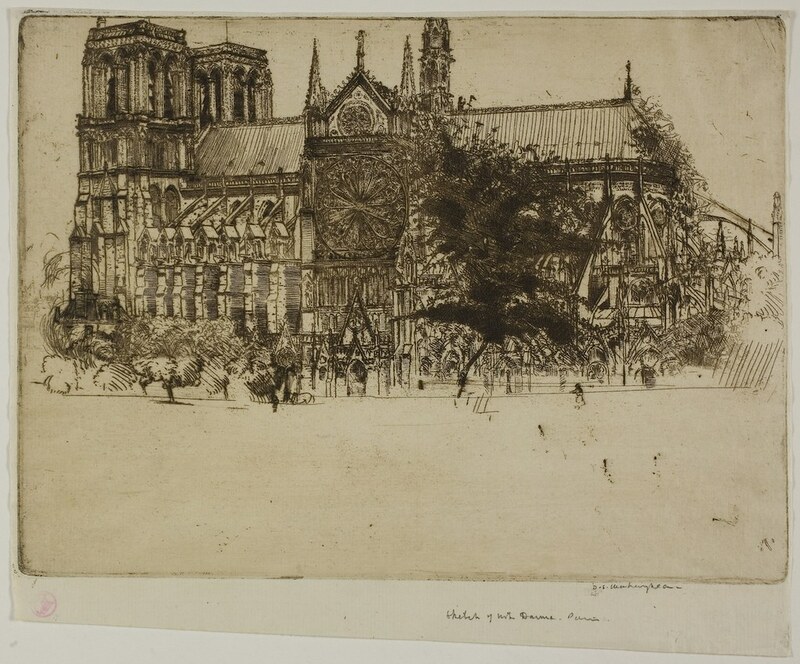 Notre Dame, an etching by Donald Shaw MacLaughlan, 1900 — Source. Unknown photographer, ca. 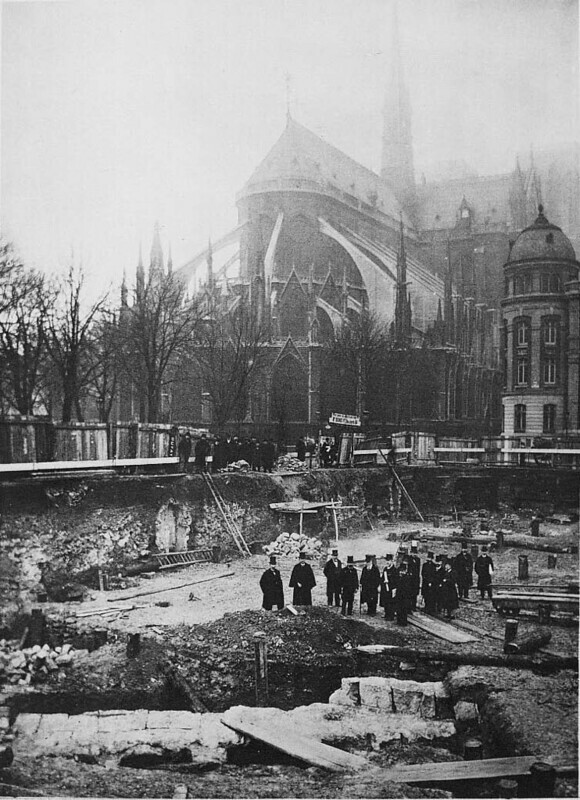 1900 — Source. 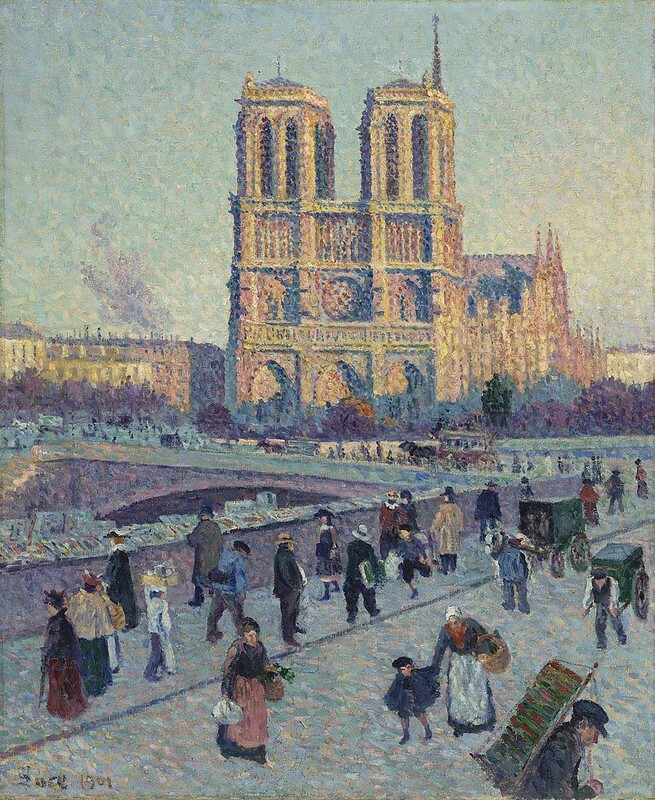 Maximilien Luce, 1901 — Source. 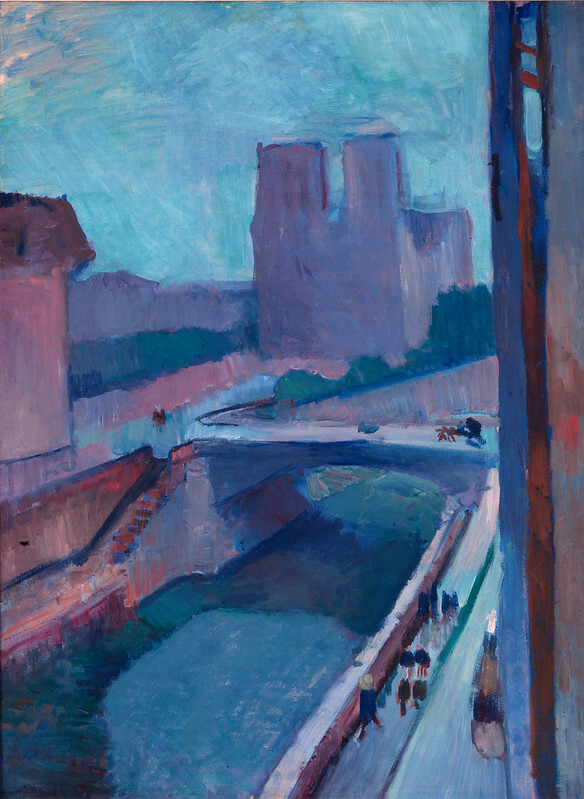 A Glimpse of Notre Dame in the Late Afternoon, a painting by Henri Matisse, 1902 — Source. 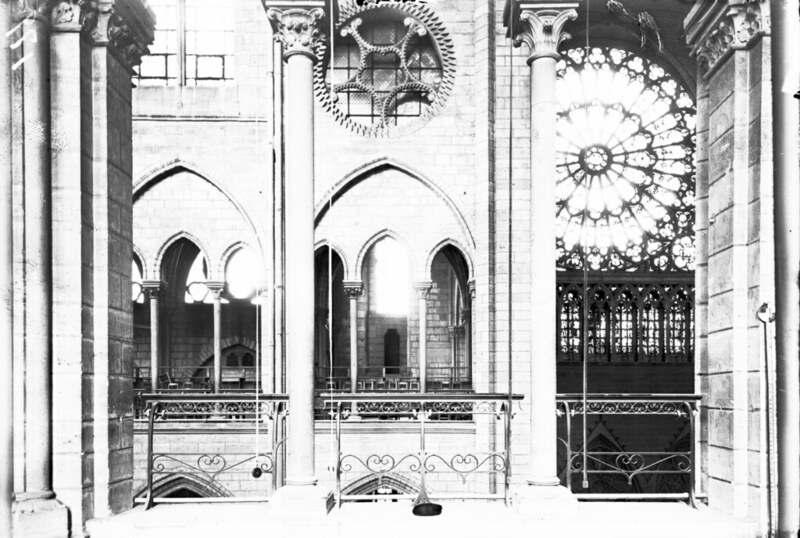 Interior, a photograph by William Henry Goodyear, 1903 — Source. 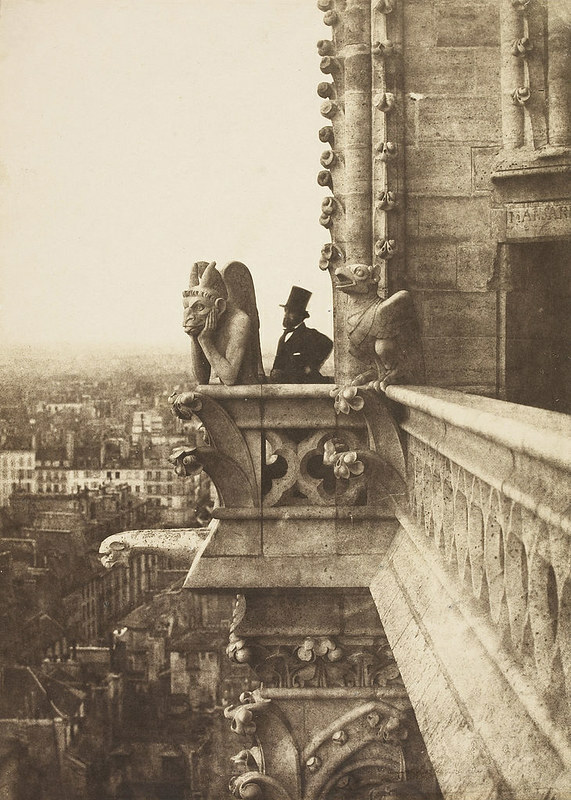 Detail from the Last Judgement portal, a photograph by Eugène Atget, ca. 1905 — Source. 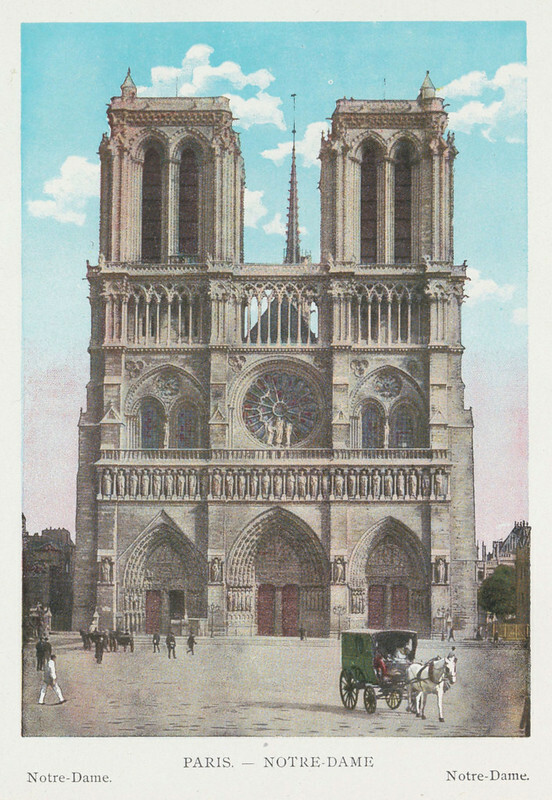 Notre Dame, a painting by Sylvius D. Paoletti, 1907 — Source. 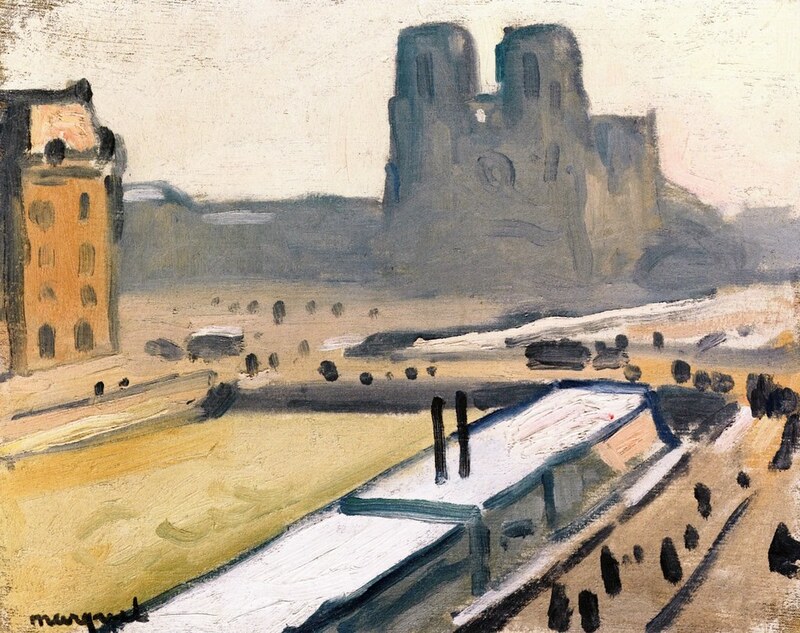 Notre-Dame Floods, a painting by Albert_Marquet, 1910 — Source. 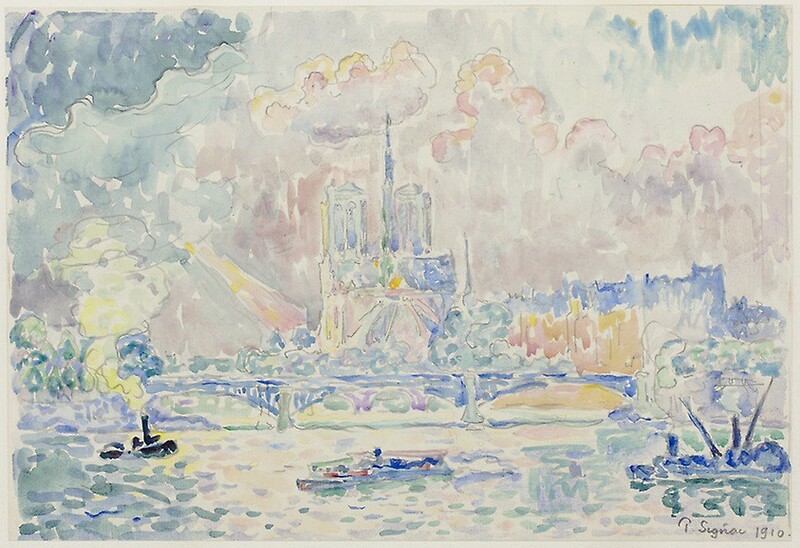 Notre Dame, a painting by Paul Signac, 1910 — Source. Unknown photographer, ca. 1910 — Source. Unknown photographer, ca. 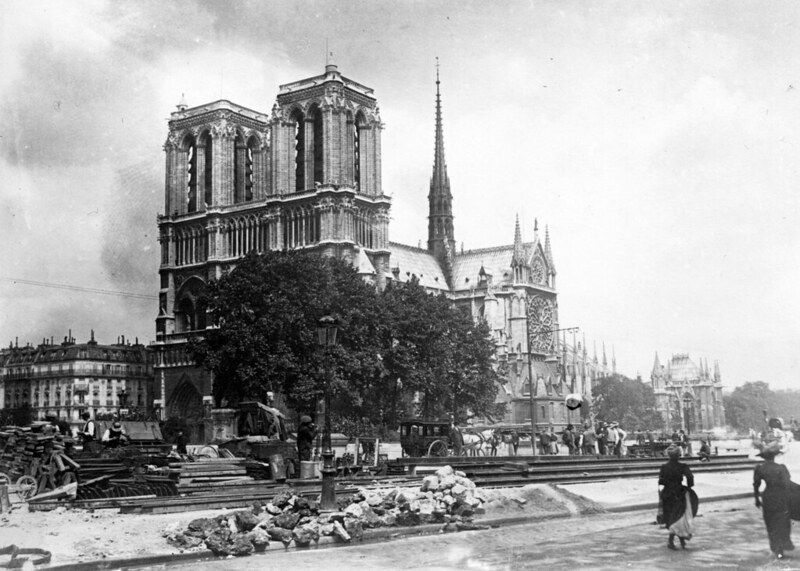 1915 — Source. 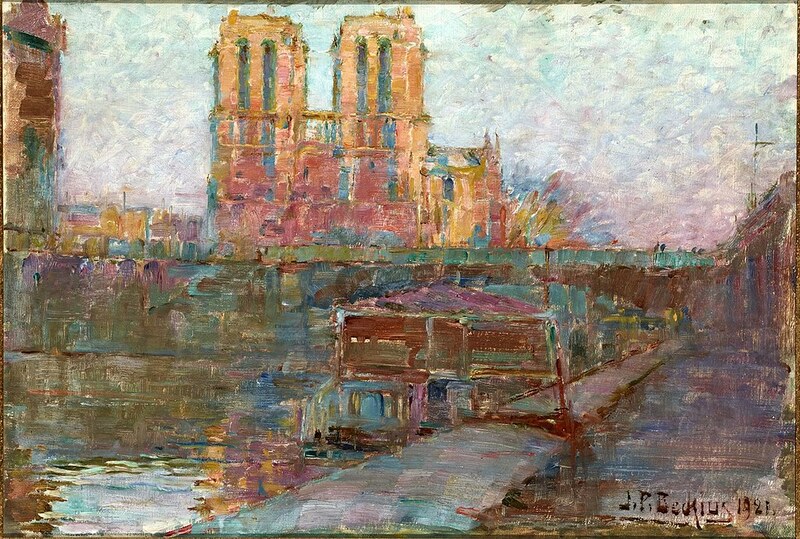 Notre Dame, a painting by Jean-Pierre Beckius, 1921 — Source.